Gutters that frequently clog or are damaged can lead to serious problems, including roof and foundation leaks. At Allstate Construction Roofing, we provide expert gutter installation and repair services, including gutter guards. We can help you get the right solutions to keep your home fully protected from water damage! If you're interested in new gutters for your home, give us a call today at 1-844-509-5522 or click below to get started! We offer free inspections on all our gutter services in The Panhandle, Bonita Springs, Miami, Port St. Lucie, Orlando and the surrounding areas. 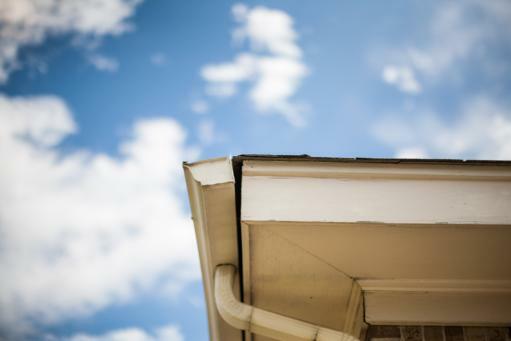 If you're interested in gutter replacement or gutter installation for your home, the experts at Allstate Construction Roofing are here to help. Our experienced professionals will help you determine the right gutter services and materials for your needs and provide you with a quality repair or installation. Call us today at 1-844-509-5522 or contact us online to get started on your gutter project. We offer free inspections in The Panhandle, Bonita Springs, Miami, Port St. Lucie, Orlando, and throughout the surrounding areas. Allstate Construction Roofing is an independent contractor and is not an affiliate of Owens Corning Roofing and Asphalt, LLC or its affiliated companies. THE PINK PANTHER™ & © 1964-2015 Metro-Goldwyn-Mayer Studios Inc. All Rights Reserved.